With the first snowflakes of winter autumn sighted from Minnesota to Tennessee, I thought I’d share the very flexible scratch hot cocoa recipe that I have finally mastered. Put cocoa, water, and salt in a small pan; bring to boil & whisk until cocoa dissolves. (Turns out that cocoa dissolves in boiling water. Unlike in cold any-liquid.) Remove from heat and add vanilla. Whisk in milk. 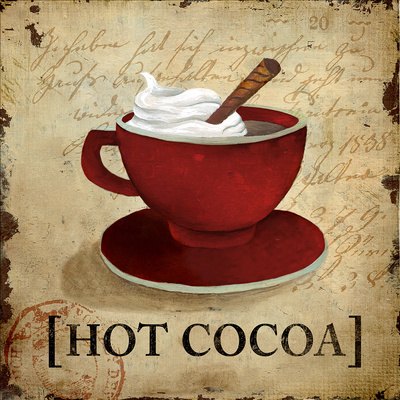 If you have less sensitive tongues than we do & want hotter cocoa, return to heat (not high!) and heat to desired temperature. Stir in maple syrup to taste, either in pan or in mugs.